Join the new natural Doc in town for a family style lunch at 11:00 am Thursday, February 28th. 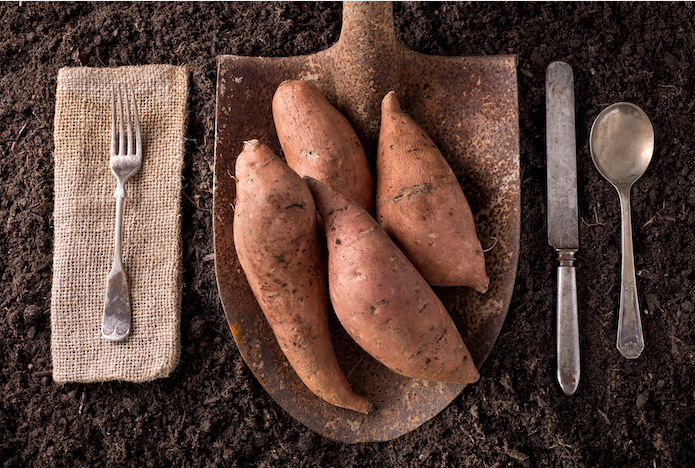 Enjoy a savory meal of these hardy veggies prepared in traditional Local Roots fashion by Chef Matt Lintz, as Dr. Dave dishes on root resilience, nourishment from the dark, and why roots are a staple on every menu. Dr. Dave Hamilton is a Virginia native and Naturopathic Physician celebrating a return to his own roots with a newly opened wellness clinic, Of The Earth Wellness, in downtown Roanoke, VA on Market Street. Health starts with what you eat! Local Roots has generously offered a three course meal served family style for $25. Meal will be in keeping with the theme of our discussion and in Local Roots tradition, sourced locally and in season. As a courtesy to the chef, please pre-register! This event is eligible for a punch on your Lunch Card Passes. Bring ’em if you’ve got ’em!